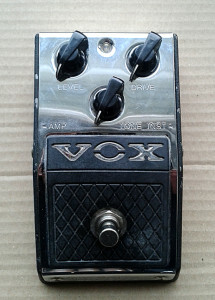 Vox V830 Distortion Booster. Made in china around early to mid 00’s. 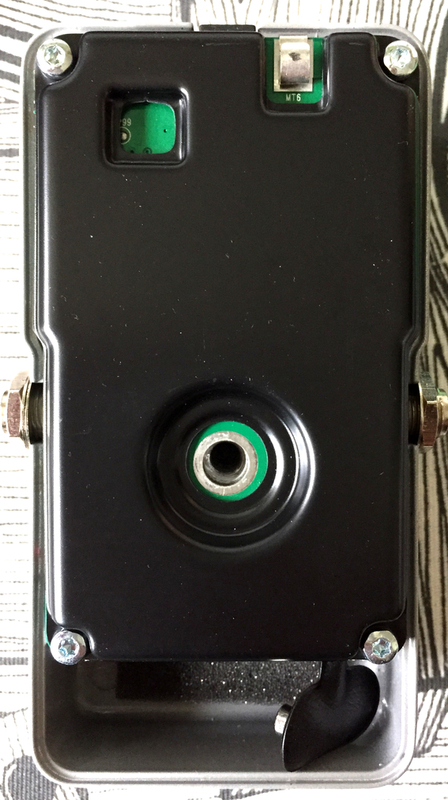 Sharing the box and switching/power circuitry with V810 Valve overdrive, the V830 is nothing close. 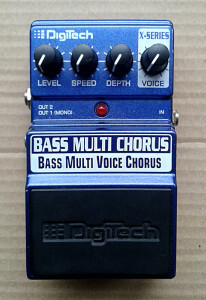 Obviously one would instantly assume this to be a DS-1 derivative. What makes this assumption obvious is the fact that V810 is a Tubescreamer. 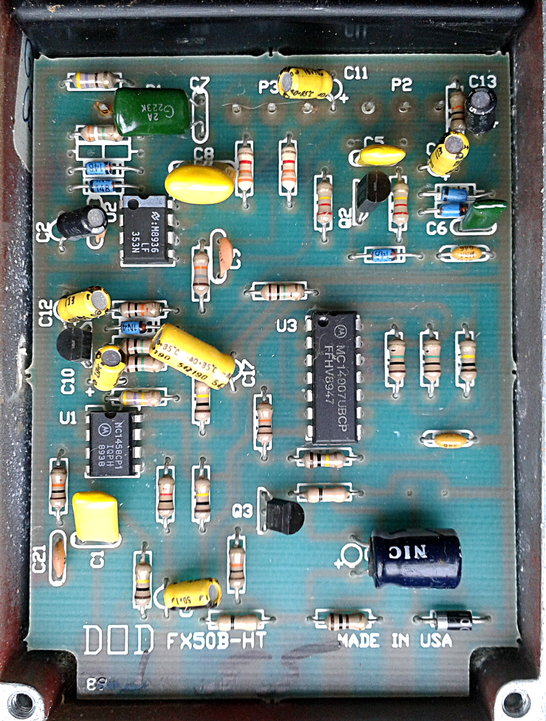 And since there are just two boxes with these aesthetics, that was exactly what i was thinking before i checked the schematic or opened mine up. 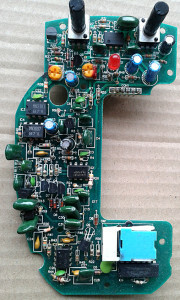 By just looking at the guts i was certain this isn’t a DS-1 derivative. And after checking the schematic up at FSB this was confirmed (you’ll need to be logged in to see the attachement on the FSB post). Actually. No other distortion unit came straight up to my mind when looking at the schem. 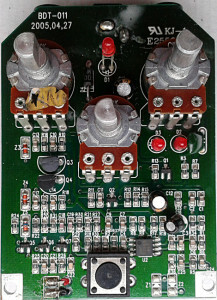 At first we have a gain stage that’s familiar from all the TS-style designs. After that there’s another gain stage that shares the control with the latter. 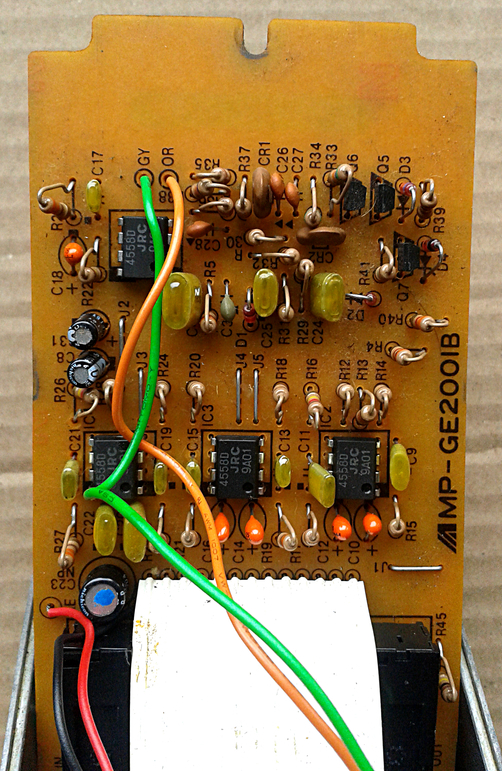 Then a hard clipping shunt diodes and a active filter stage, BMP-style tone control and output buffering. Nothing too out of the ordinary, but still not too common. Sounds pretty damn good. The combined soft/hard clipping has nice texture to it and the the two stacked gain stages offer levels of gain that could be described simply as enough. No, this isn’t one of those “metal” distortions by far. 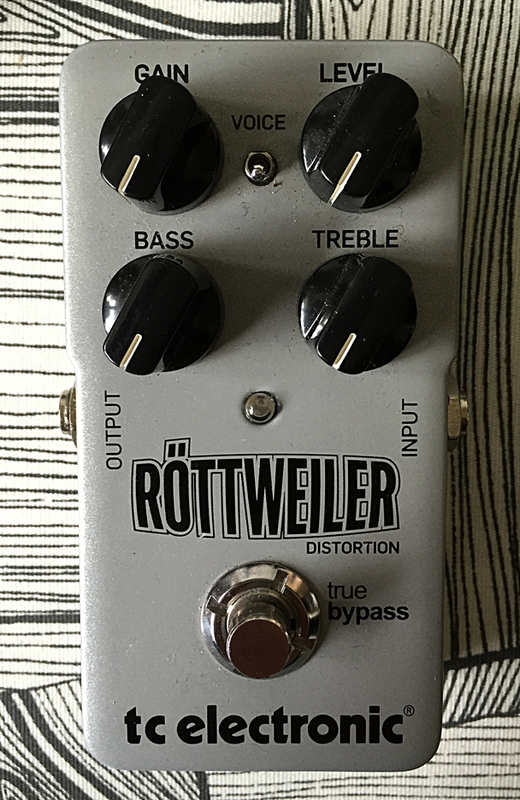 Running this to a slightly dirty amp will give you that big and thick distortion lead tone that still has some vintage color in it. Not to mention it will keep your preamp stage alive and gives out the best of the amp. In all, great looking and sounding device. 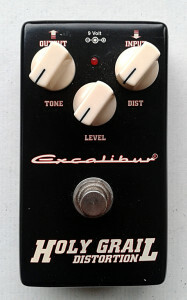 Excalibur Holy Grail Distortion. Made in china, late 00’s. 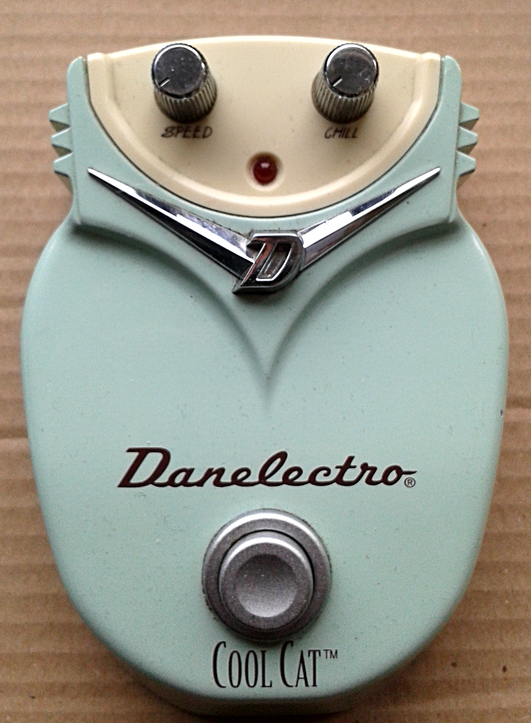 Got this one with the Tubescreamer derivative and the fake analog delay from the same “manufacturer”. The quotes are there for a reason. Since the brand is just OEM’ng stuff from chinese brand with questionable prestige, i wouldn’t exactly call Excalibur a manufacturer. Due to have been inside the two units mentioned above, i knew exactly what to expect. Not by the design, but for the manufacturing methods. The overall feel of these boxes is somewhat sturdy. Not that great, but ok. 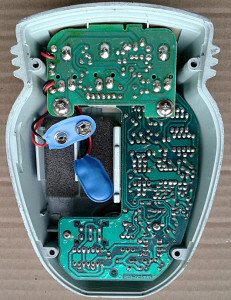 The highest points come from screws that fasten the board to the enclosure. It’s not much, but i can’t come up with much more positive to say. Pretty standard cheap china build quality. Made for extremely cheap and fast. 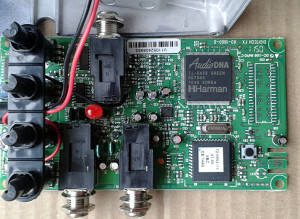 And of course, with cheapest solutions there is. See the jacks in the photo above? Yup. Those are not fastened to the enclosure at all. Sort of reminds me of the method found in Ibanez L- and 10-series, with one exception. Ibanez has bigger part of the jack shafts outside, so the pressure applied when inserting a plug isn’t that hard. Also, on Ibanezes the board fastening screw is placed so, that the board doesn’t come by too much strain when jacks are inserted. 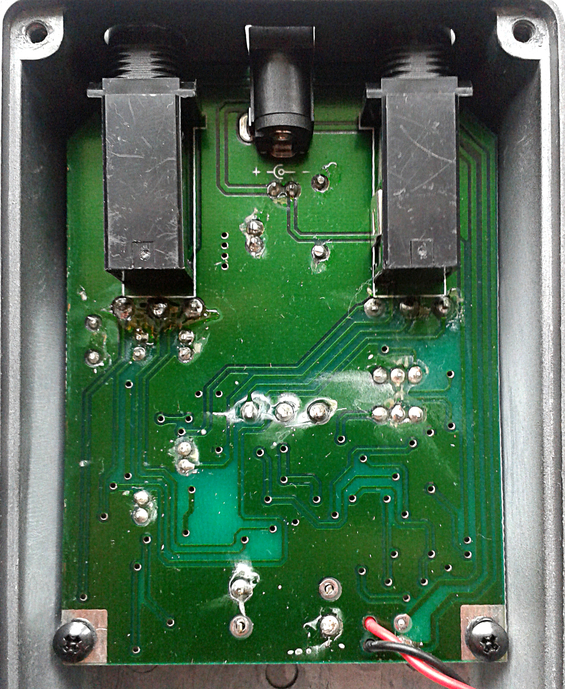 Here, the jacks jus float behind the enclosure wall and the board is fastened tight. This means that there are bound to be jack failures in the future. If the pedal sees lots of use. 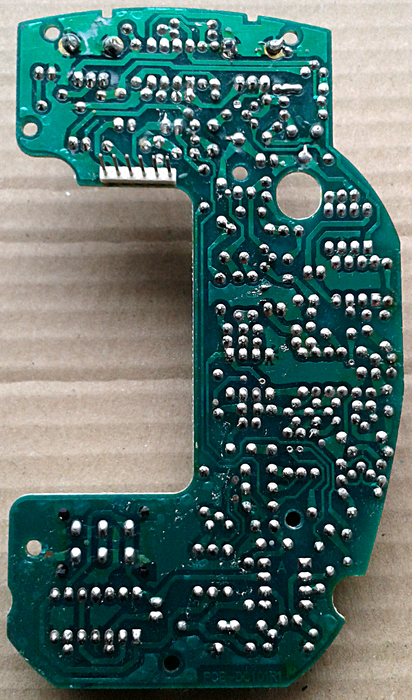 The component side Continues with the boring china stuff. While the mechanic switch tries to mimic as a basic, sturdy switch with a metal stomp, the actual switch is something quite different. LEDs for clippers and on the more positive side, the design doesn’t seem to be 1:1 clone of Boss DS-1. 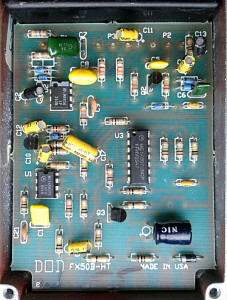 If i was to take a guess, the roots for this design would be closer to the 90’s Marshall distortion units. Not sure where the design comes from, and i have very little interest in finding out. Not because this would sound bad, but because everything around the schematic is just utterly bad. Not that bad. Capable of delivering decent amount of boost and the controls work well. 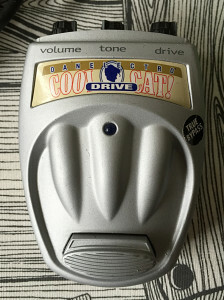 Overall tone doesn’t cut lows too much, so in all, the overall tone is ok. 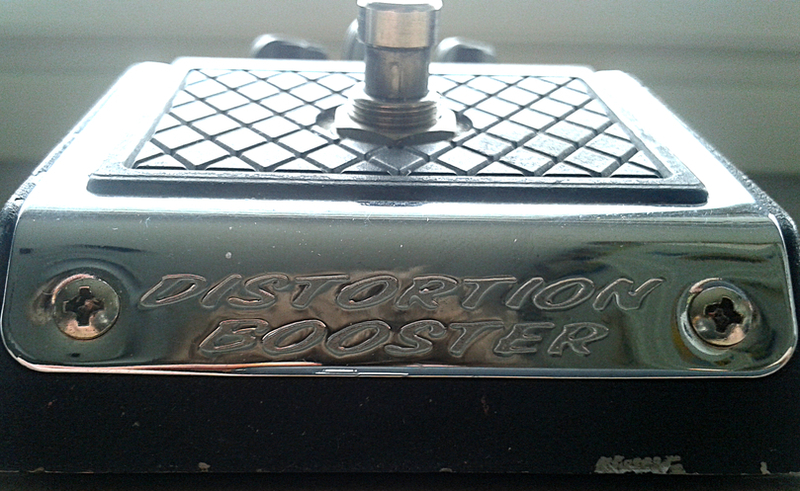 Decent, reasonably clear, but powerful sounding distortion. For a unit that costs 20$/€/£ used, you can’t go wrong too badly. 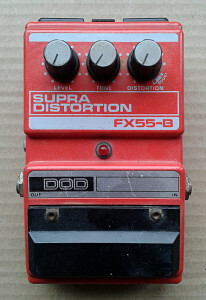 It’s not a great (nor even that good) distortion unit, but definitely not the worst i’ve seen. The best of the bunch. 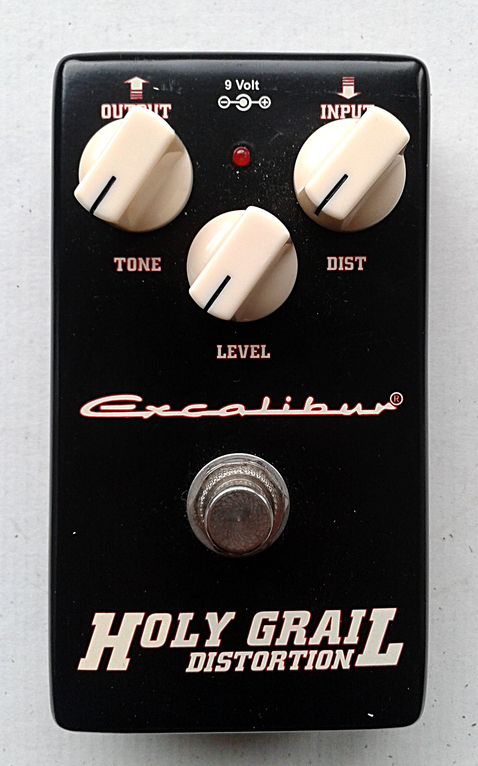 But that isn’t much said since the rest of the Excalibur pedals are very bad indeed. Ibanez GEL Graphic EQ. Made in Japan, 1985. 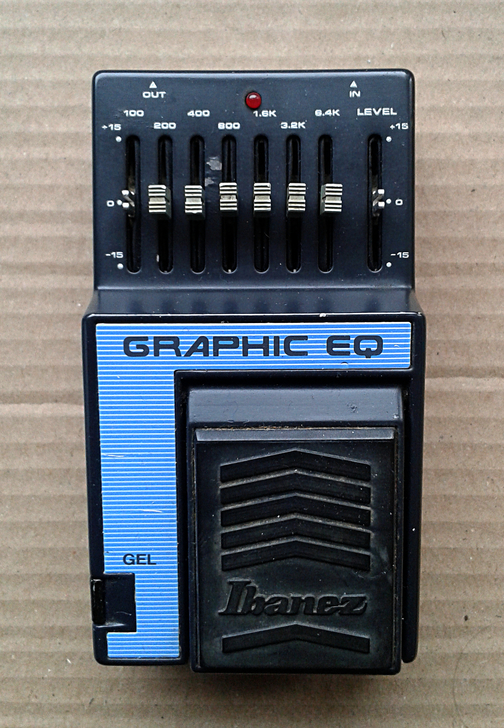 Graphical equalizer from Ibanez Master series. 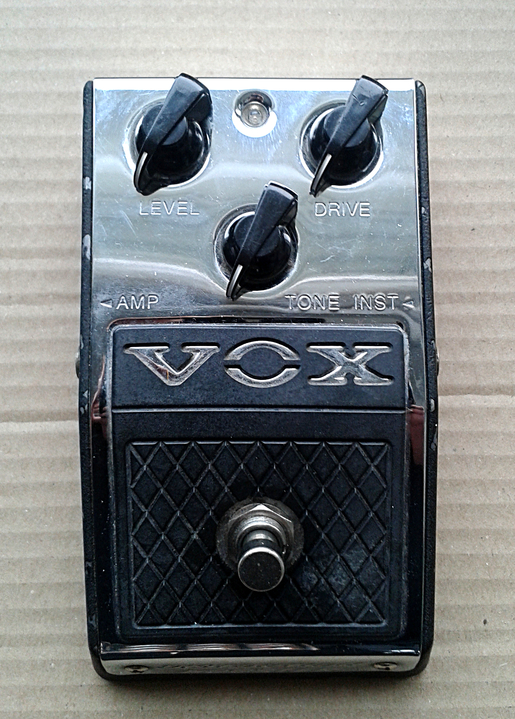 Mine’s missing two of the slide pot knobs, but otherwise in decent condition. What comes to similar EQs, there is basically two ways to get the job done. 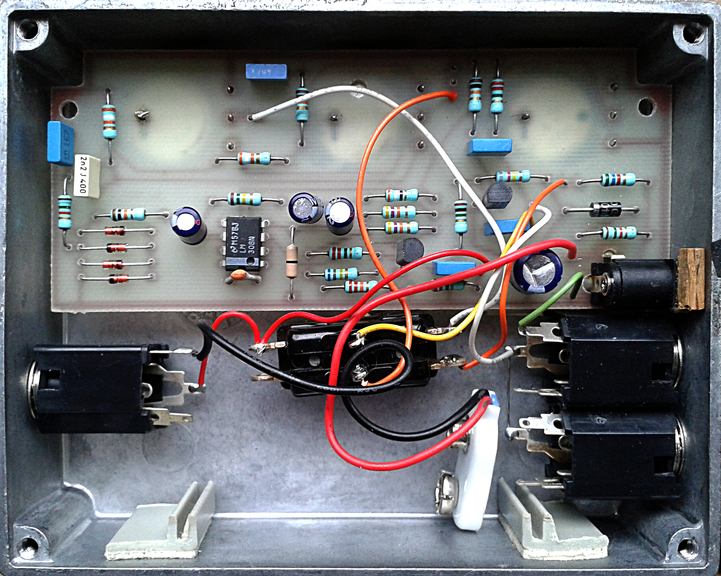 First is the oldschool method of using inductors to create tight band-pass filters side by side. And the second, obviously cheaper, method is to use active gyrators to achieve the same results. Soundwise the difference between the two is quite small. Inductors aren’t as stable in changing the peak frequency as gyrators, but that’s about it. One can read about creating graphical EQs from GEOfex’ site. This article pretty much covers every single graphical and parametric EQ ever made. At first, it seems that the GEL is just rehash of GE9 and predecessor of GE10. This is mostly true. The board design is completely revised in comparison to its 9-series sister and what’s more interesting is the fact that the board design, from layout to traces, is more modern than the most other pedals in the L-series. 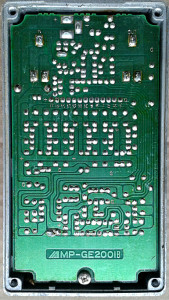 All the way neat, but much more clinical than the last batch of acid trip boards we find from most L-series units. Not that this would change anything for the better or worse. It’s just different. So. 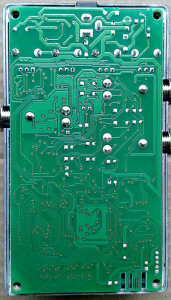 Due to linking the GEOfex article, there is not much more i can say about the electronic design. The board decisions are great. There is notable amount of symmetry in place and the work looks very professional. 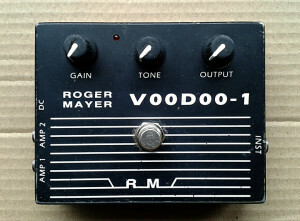 Just what you’d expect from a pedal from the series. Neutral. Adds very little of it’s personal scent or feel to your tone. Exactly like modern equalizers should. Powerful tool in cool package. 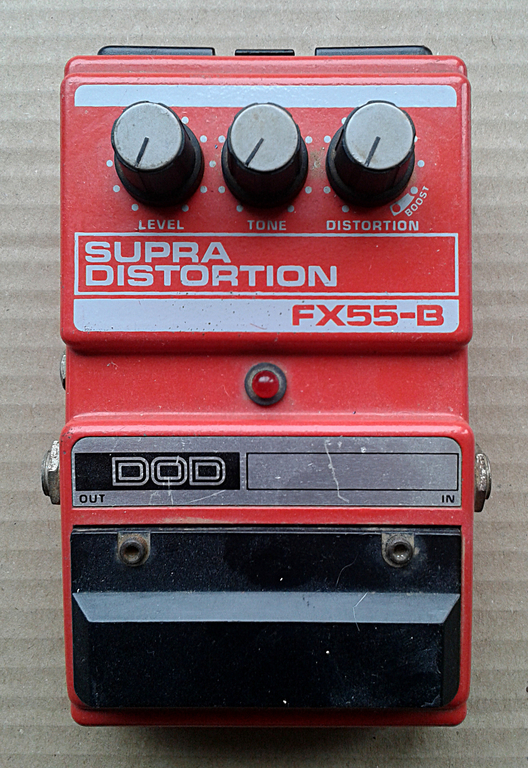 Although this might suffer from having slightly less personality that your usual Ibanez pedals, there is still nothing wrong with its sound. Good and versatile tool. To be completely honest, i can’t put my finger on anything that would make this better or worse than any other graphical EQ ever introduced to the public. So, in other words. It’s not special, but it is very good at what it does. From subtle frequency correction to Lo-Fi cuts and all the way to big, massive, clean boost for the desired frequency areas. Not bad. 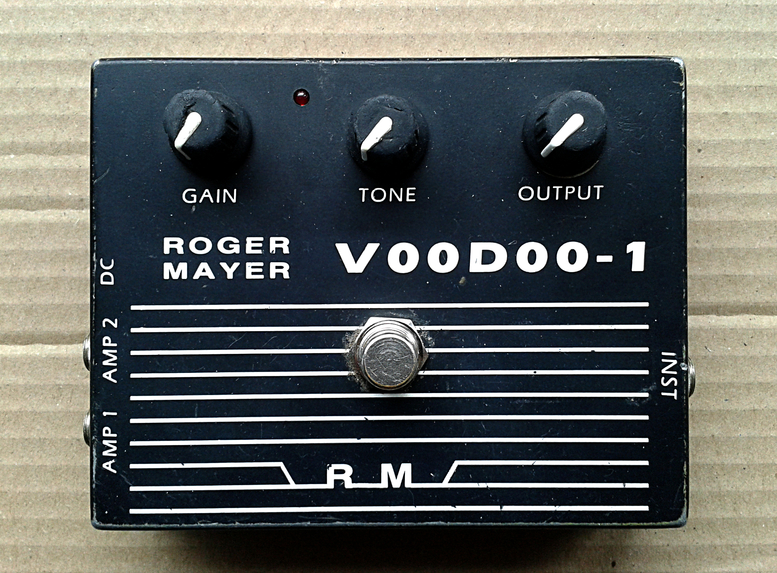 Roger Mayer Voodoo-1 Distortion. Made in UK in early 90’s. Possibly 1993. Got this unit in a trade from a friend (thx Jaakko!). Mr. Mayer is The Original Boutiquer, so obviously i was interested. I’m not going into the history of the man, but if you are interested, you could check out the short history up on Roger’s page. The first image on that page tells you everything you need to know. The unit on hand has seen a lot, and i mean a lot of use. My friend had bought this in mid 90’s and had it ever since. 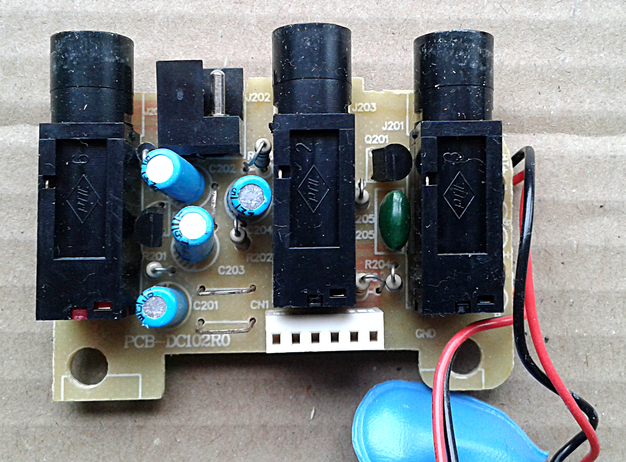 The battery stoppers (very nice idea) and a tiny wood block to keep the DC jack in palce have been added by him. I saw no reason to take them down. Anyway. Just recently he had gone into this thing called “pickup roulette” and got himself a nice modern, hot set of humbuckers. 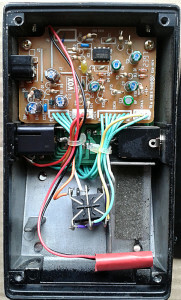 His observation was that the unit may be broken as it can’t boost the signal like it used to do with strat single coils before. I promised to take a look and i did. And demonstrated how the design will not work the same with +15K humbuckers in contrast to ~5K singles. So it is a feature that should be taken into account. This doesn’t mean that there is anything wrong with the design. 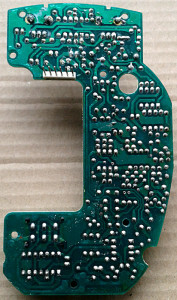 It’s just that when the design was conceived, over 16K humbuckers were not as widely used as they are today. Some will argue that those do not sound “better”, and i must respectfully agree for most parts (anything under 12k for bridge is a waste of time, anything over 12k for neck is also a waste of time – but that’s just me and preference in tone is definitely a subject to personal taste). As a conclusion, this unit works as a boost very nicely. All the way to having too hot pickups. What comes to desing, i find very little negative to say. There is a traced schem up at FIS, so check it out. There is a lot of out of box thinking going on in there. While some still deem this as nothing more but a Rat derivative, the schematic shows that it is not. 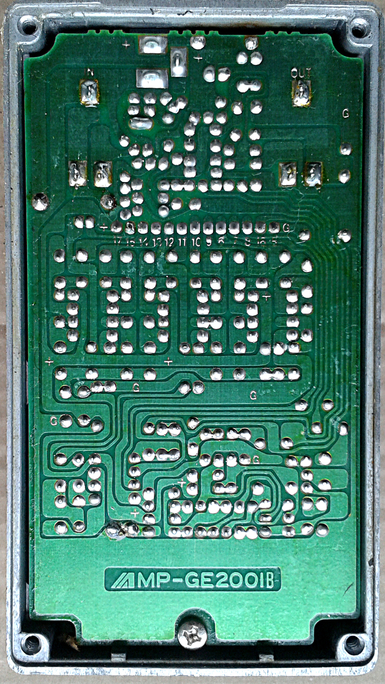 Only obvious thing that’s common for both is the use of LM308 high gain opamp and utilization of hard clipping shunt to ground. That’s like saying everything with JRC4558 is a Tubescreamer derivative. In that case your old clock radio that wakes you up would be a TS-derivative. So no. This is not a rat. 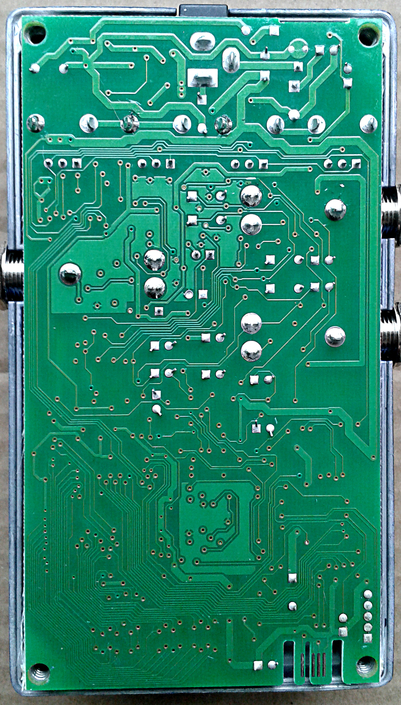 The signal path starts with a single transistor gain stage that drives the main gain stage. 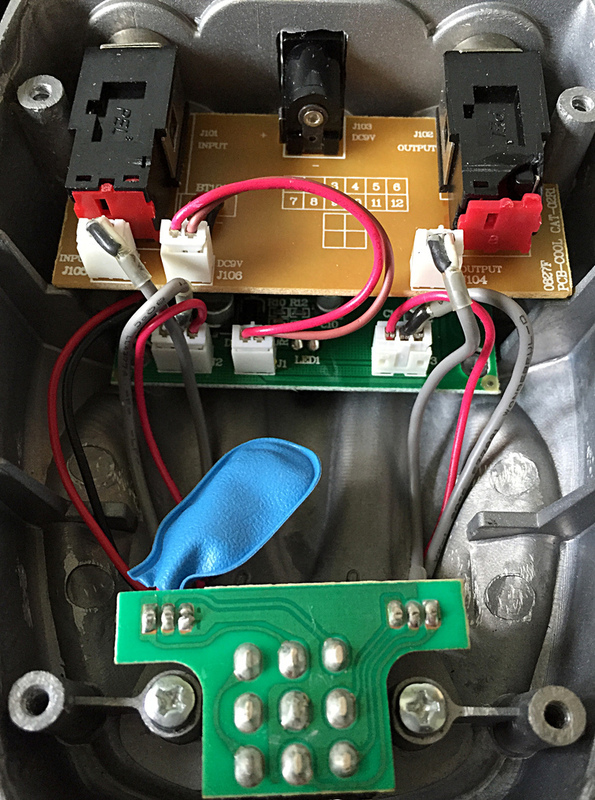 The gain there is set by taking a pot between inverting input and ground. Notice how the first gain stage also acts as a reference voltage supply for the non-inverting input. This is something i do not recall seeing every day. The main gain stage is followed by two pairs of diodes shunt to ground. This will result in hard, but still still mellow sounding diode clipping, that isn’t that far off from synth-like wave shaping. 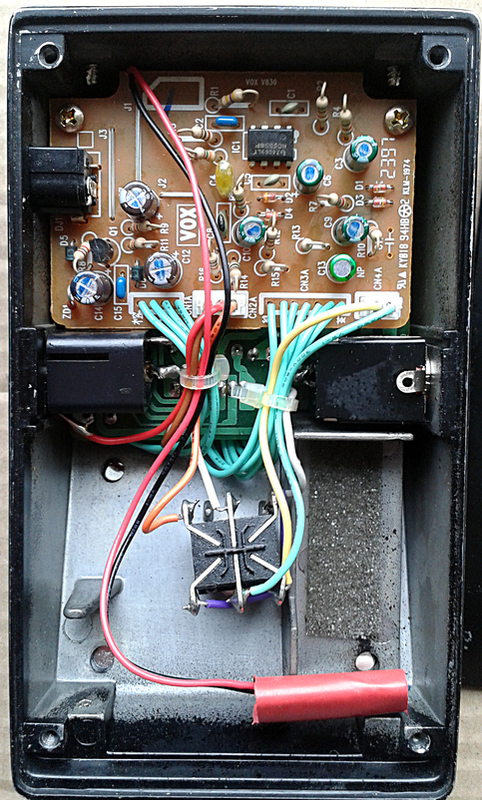 After the clipping there’s a tone control that may (or may not) have its root in the infamous Big Muff tone stack. After that, there’s an output buffer. One last thing to point out.. Check the 1M6 resistor acting as a feedback loop over the entire circuit. Yup. Figured you had not seen one like that before. Fat and big, if not massive. There’s a hint of fat Rat texture in there, but not much. 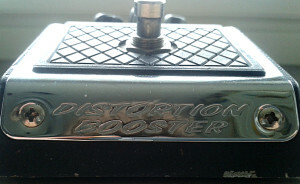 It’s a good and usable sounding general distortion that will suit most styles and situations. 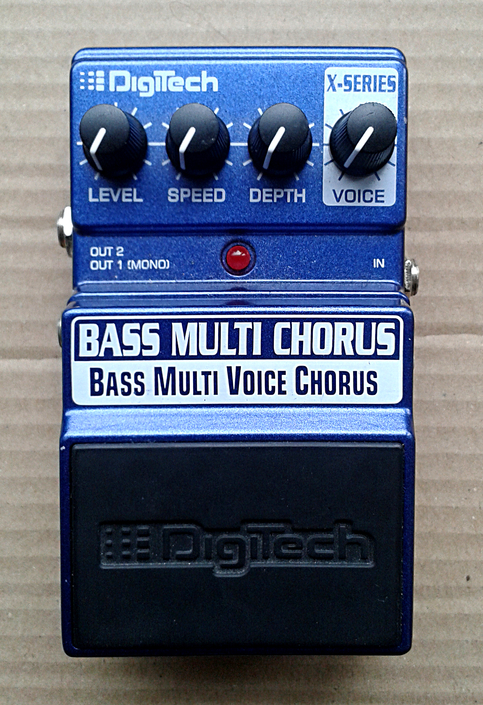 Paired with an adult style delay one should be able to get those pesky 80’s thin lead tones. But with tone turned low, this will compete with many modern high end boutique pedals in the Marshall/Brown Sound territory. 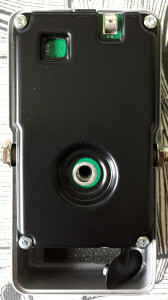 Like stated, thepedal doesn’t exactly shine with modern high output pickups, but that’s the only bigger fault in its tone. 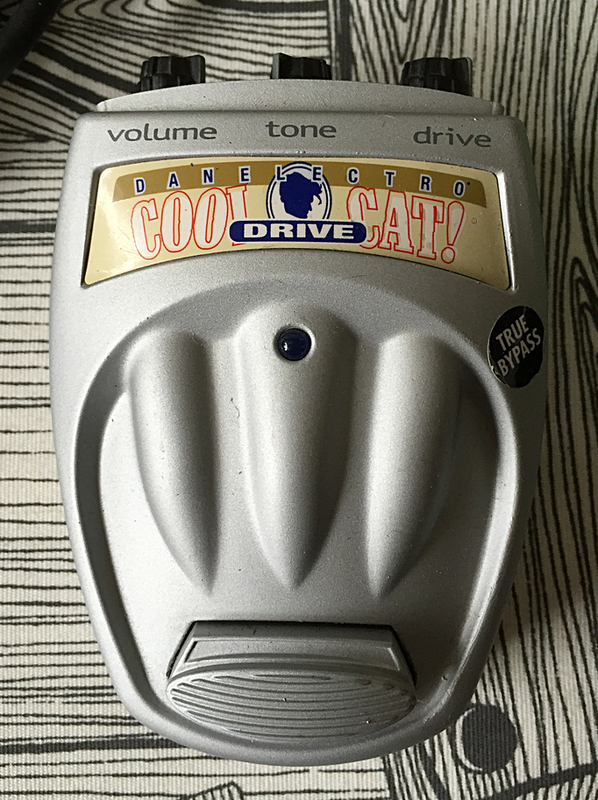 The tone control is a thing of its own. Clockwise it’ll take a lot of lows away, but it offers very good control range from 7 o’clock to noon. 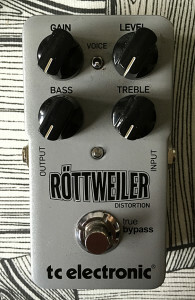 In all, very good distortion design with its quirks. At least i seem to like it. A lot. Entries (RSS) and Comments (RSS). 46 queries in 0.147 seconds.